le chaudron de vulcain – February 08 , 2019. EN. Chile : Osorno , Colombia : Cumbal , Japan : Kuchinoerabujima , Indonesia : Agung , Guatemala : Fuego . Home / agung / February 08 , 2019. EN. 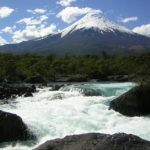 Chile : Osorno , Colombia : Cumbal , Japan : Kuchinoerabujima , Indonesia : Agung , Guatemala : Fuego . 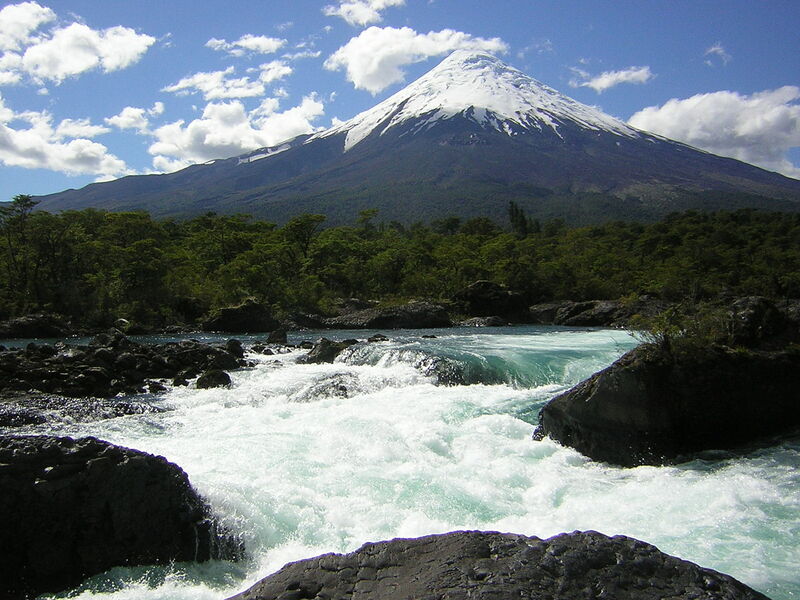 During this period, 454 seismic events were recorded, of which 416 were classified as long period type (LP) events in relation to fluid dynamics within the volcano and / or glacial dynamics. The larger magnitude event had reduced displacement values (DRC) equal to 15 cm2. In addition, it has been classified 38 volcano-tectonic (VT) type events, associated with the fracturing of rigid materials. The event of greatest energy had a local magnitude (ML) equal to M 2.1 and was located 1.5 km north-northeast of the crater at a depth of 3.7 km. Surveillance camera images did not show any superficial activity when weather conditions allowed observation. The indications of the electronic inclinometers did not reveal any changes in relation to changes in the internal dynamics of the volcano. No emissions of sulfur dioxide (SO2) to the atmosphere in the volcano area have been reported, according to data published by the Ozone Monitoring Instrument (OMI) Sulfur Dioxide Group (http: / /so2.gsfc.nasa.gov/) and the National Satellite Environment and Information Data (NESDIS) (http: // satepsanoine nesdis.noaa.gov) ..
No thermal alarms have been reported in the volcano-associated area, according to data processed by infrared, means of observation of volcanic activity (Mirova) (http://www.mirovaweb.it/) and MODVOLC (http : //modis.higp.hawaii.edu/). 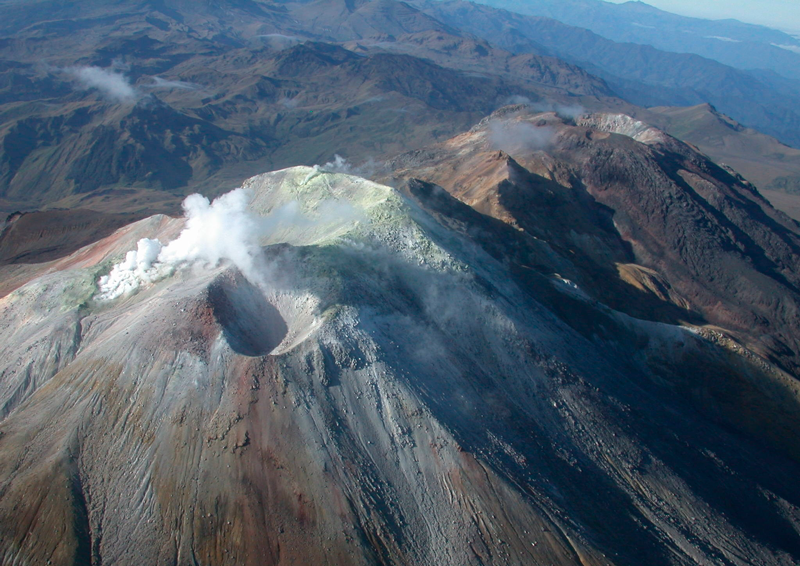 Activity remained at levels considered low, suggesting stable behavior of the volcanic system. Weekly activity bulletin of the Cumbal volcano . For the period January 29 to February 4, 2019, the number and seismic energy released by events increased from 162 earthquakes in the previous week to 270 for this week. Earthquakes associated with the fracturing of the rock inside the volcano have had the most important recurrence; only 12 scattered sites around the Cumbal crater were located within a maximum distance of 10.7 km from the crater, at maximum depths of 7.6 km, compared to the summit of Cumbal (4700) and at maximum magnitudes of 0.9, on the Richter scale. 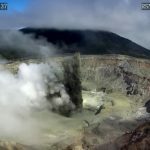 The summit of the crater was only cleared on January 29th, 30th and February 2nd, which allowed the observation of gas emissions coming mainly from the El Verde fumarol field north-northeast of the volcanic complex. The column of emission had a white color, little pressure, a height and a direction variable according to the action of the winds. 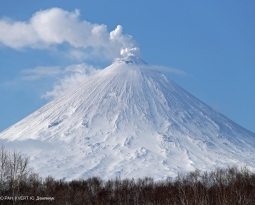 JMA reported that during 1713-1915 on 29 January an eruption at Kuchinoerabujima’s Shindake Crater produced an ash plume that rose 4 km above the crater rim and drifted E, and a pyroclastic flow. Ash fell in parts of Yakushima. 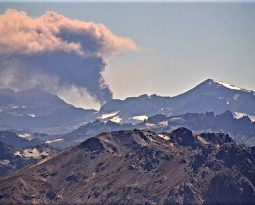 During 30 January-1 February and 3-5 February white plumes rose as high as 600 m. An event that lasted during 11h41-13h00 on 2 February generated a plume that rose 600 m. The Alert Level remained at 3 (on a scale of 1-5). 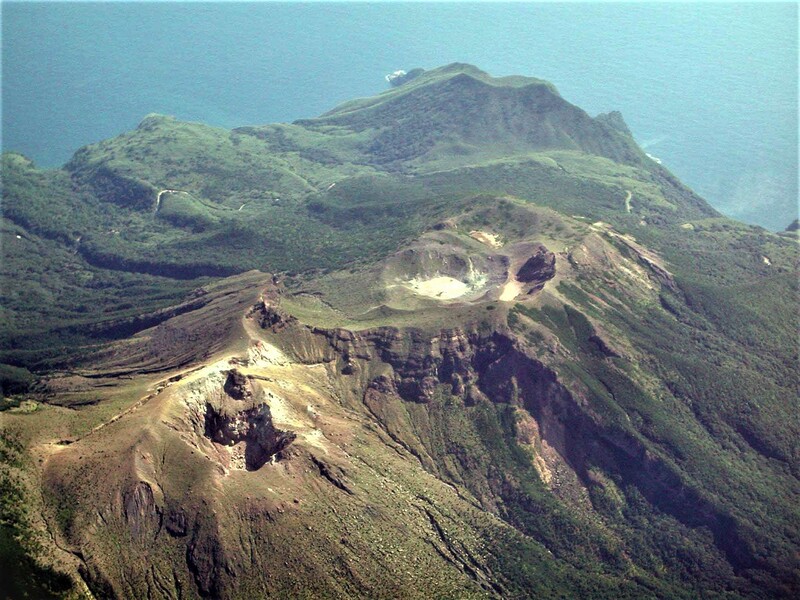 A group of young stratovolcanoes forms the eastern end of the irregularly shaped island of Kuchinoerabujima in the northern Ryukyu Islands, 15 km west of Yakushima. The Furudake, Shindake, and Noikeyama cones were erupted from south to north, respectively, forming a composite cone with multiple craters. The youngest cone, centrally-located Shintake, formed after the NW side of Furutake was breached by an explosion. All historical eruptions have occurred from Shintake, although a lava flow from the S flank of Furutake that reached the coast has a very fresh morphology. Frequent explosive eruptions have taken place from Shintake since 1840; the largest of these was in December 1933. Several villages on the 4 x 12 km island are located within a few kilometers of the active crater and have suffered damage from eruptions. Source: Agence météorologique japonaise (JMA), GVP. Information on the eruption of G. Agung, February 08, 2019. 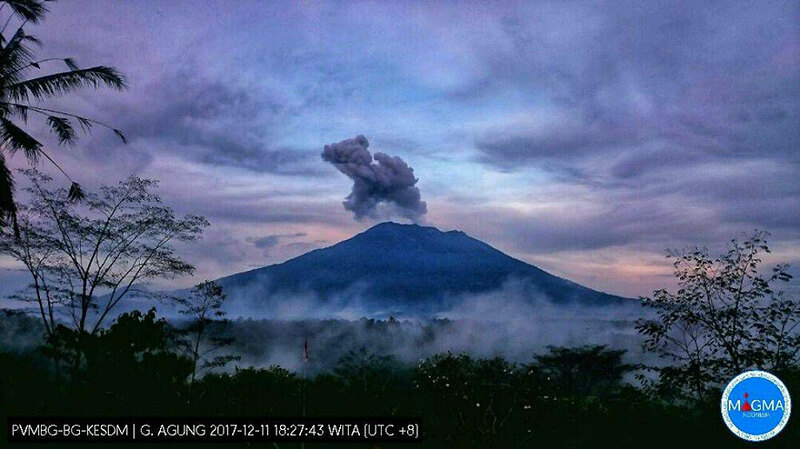 G. Agung was erupted on 8 February 2019 at 00:12 WITA, but the height of the ash column was not observed. This eruption is recorded on a seismogram of maximum amplitude of 23 mm and a duration of ± 1 minute 37 seconds. The communities around Mount Agung and mountaineers / visitors / tourists must not climb and have no activity in the estimated risk zone, ie in all areas within 4 km radius of Mount Agung crater . The estimated danger zone is dynamic and continues to be evaluated. It can be modified at any time to follow the most recent observation data from G. Agung. Communities that live and move around streams from Gunung Agung are sensitized to the potential secondary hazard in the form of lahar descents that can occur especially during the rainy season and if the eruption material is still exposed in the rainy season. the summit area. Geographical location: 14 ° 28’54 ° Latitude N; 90 ° 52’54˝ Longitude O. Presence of white degassing fumarole at a height of approximately 4500 m above sea level dispersing in the directions North, North-West, West and South-West. 12 to 15 low and moderate explosions per hour are generated by ejecting columns of gray ash at an approximate height of between 4500 and 4800 m (14764 to 15748 feet) and dispersing between 10 and 55 kilometers in directions North, Northwest , West and Southwest. Rumblings cause weak shock waves and vibrations in homes of neighboring communities. Noise degassing occurs at intervals of 1 to 3 minutes. During the night and early in the morning, a constant incandescent source was observed at an approximate height of between 200 and 300 meters, with moderate and strong avalanches around the crater towards the Seca, Ceniza, Trinidad, Las Lajas and Honda. 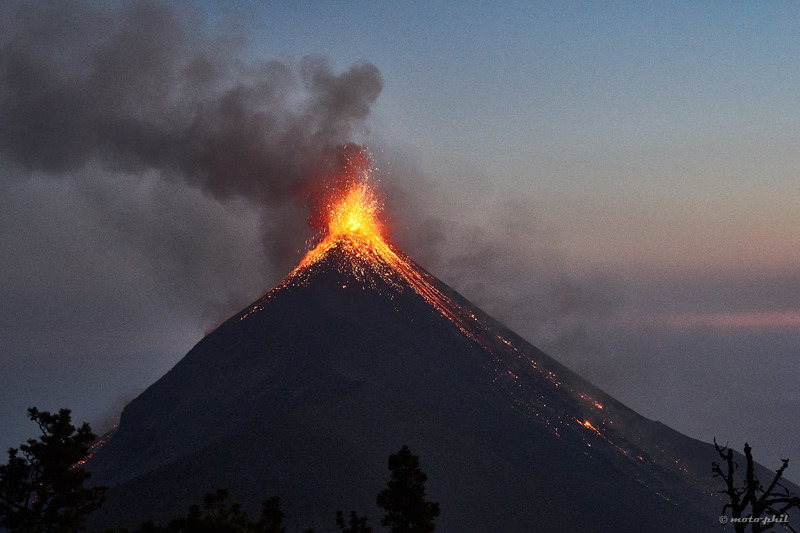 Ash falls are reported in the communities of Panimaché I and II, Morelia, Sangre de Cristo, Palo Verde Estate, Yepocapa and others located in this direction.